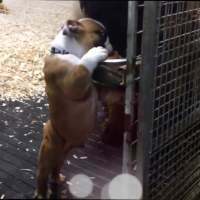 A Day In The Life Of An Adorable English Bulldog Called Chumlee! Introducing Chumlee, an adorable English bulldog with an amazing life, adorable friends, and a loving family! See what he does on a typical day!